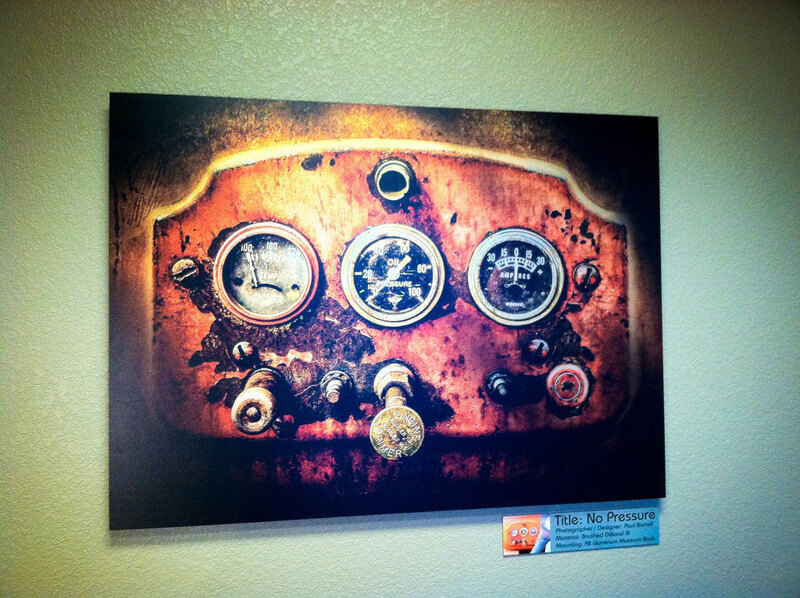 For a print shop with 19 years of color accuracy – consistency is everything, according to Mike Goldner, an account manager at Artisan Colour, a digital commercial printer, located in Scottsdale, Arizona. Artisan Colour uses Dibond aluminum composite material for anything from retail point-of-purchase signage, to die cut letters and logos for corporate offices, to fine art prints. They also use a variety of other Graphic Display materials including Sintra Board and Gatorfoam. They are the experts in digital printing, so when it comes to recommending product, they recommend 3A Composites USA products for their consistency, durability, and ease of fabrication. “This is our “go to” brand for 90% of our brushed direct-to-board prints. Our product team loves the consistency of the boards, both in texture, surface uniformity and ink adhesion. We print UV cured ink with our OCE 480 XT flatbed printer and the results of the ink and brushed surface adds amazing depth to fine art prints – with the right image, it’s almost 3D. 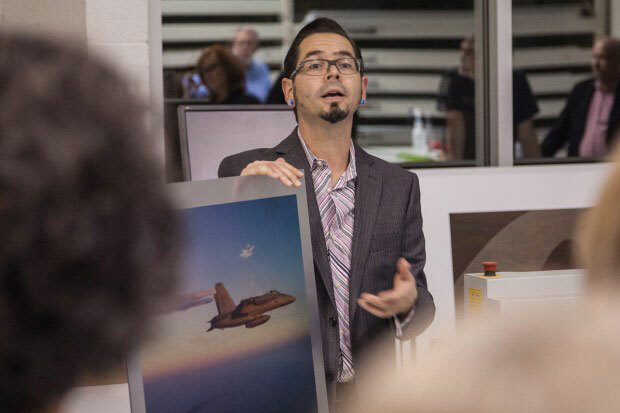 While there are other generic aluminum composite boards available, we feel that this surface delivers the best result for modern abstract prints,” Goldner explains about 3A Composites USA Graphic Display’s Dibond material. 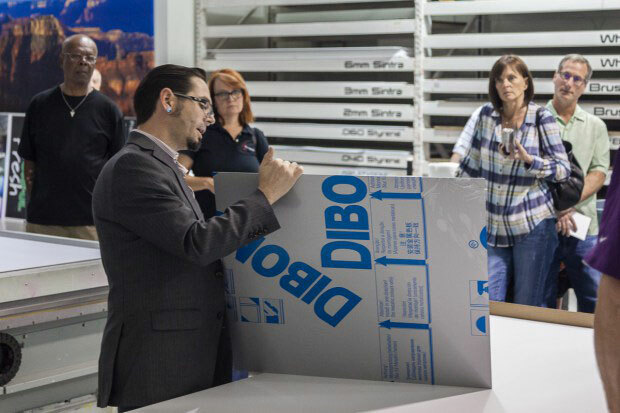 Goldner works directly with clients and offers his expert advice on what substrates are best to use. Dibond is an extremely popular product for fine arts clients as well as commercial print applications. 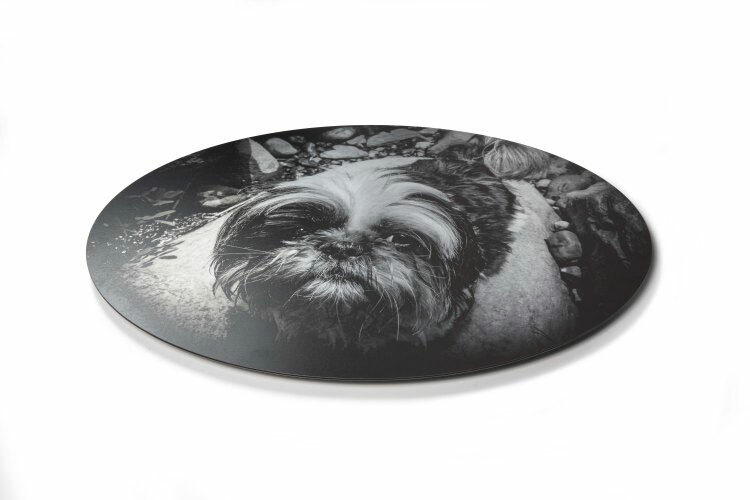 When printing for a fine art client, the print on brushed aluminum will take on a life of its own.